Pivotel, inReach and it-iQ have been absolutely invaluable to our business. In February 2016 Tropical Cyclone Winston (Cyclone equate to hurricanes in the Northern Hemisphere) smashed Fiji. 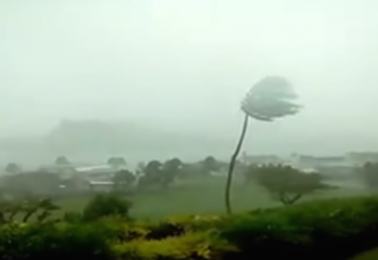 Tropical Cyclone Winston was to date the most severe storm (Category 5) to be recorded striking the Fiji Islands. Our company decided to send as a response, some of our most experienced engineers to assist where ever was needed. We often work in Fiji and the wider Pacific and felt compelled to send help. In our initial response we did not have as effective communications as we have on our second deployment. Whilst our first deployment was instrumental in assisting all the associated aid agencies we felt we could better support our staff by stepping up our communications capabilities. Whilst we strive to be the best at what we do and felt we could do better. Our existing provider for M2M products, it-iQ, stepped up to the mark and within the day had arranged for both Pivotel satellite phone communication capabilities and inReach Satellite SMS navigation/tracking solutions at a very affordable price. We now have a reliable solution for sending our staff into remote and potentially dangerous locations. To receive a copy of the full Case Study, please email info@itiq.co.nz.